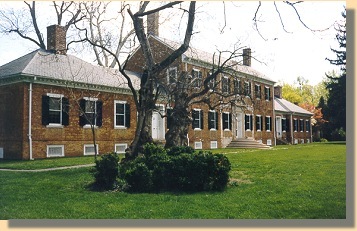 Chatham was build by William Fitzhugh beginning in 1768. It hosted George Washington in 1785 and Abraham Lincoln in 1862. 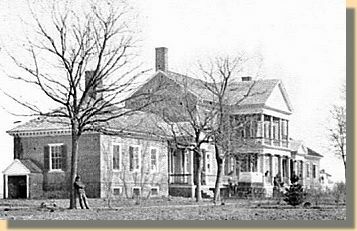 During the Fredericksburg battle, it was General Edwin V. Sumner's (Commander of the Union's Right Grand Division) Headquarters. After the battle, it was converted into a field hospital. Some of the graffiti left by Civil War soldiers is still visible today. National Park Service Plaque at Chatham. 1860's view of Fredericksburg,across the Rappahannock river. 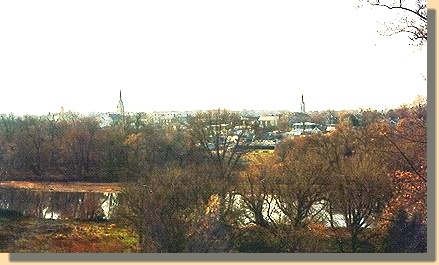 1998 view of Fredericksburg, across the Rappahannock river. The left photograph provides the view from Lee's Hill in January, 1998. 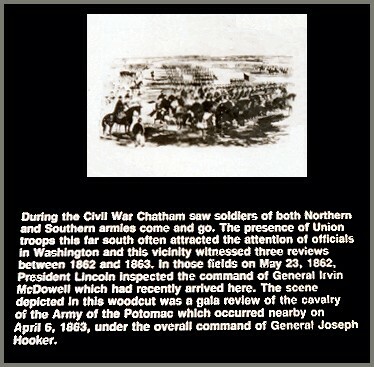 This was the point from which Lee watched the events of December, 1862. Obviously, his view was not blocked by trees as it is in this photograph. 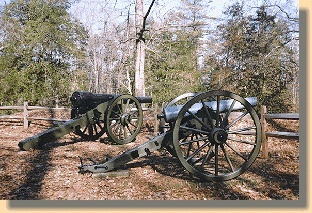 The black cannon, in the right photograph, is a 30 pound Parrott rifled cannon standing to the south of Lee's Hill. It is similar to the one brought from Richmond to assist in the battle. 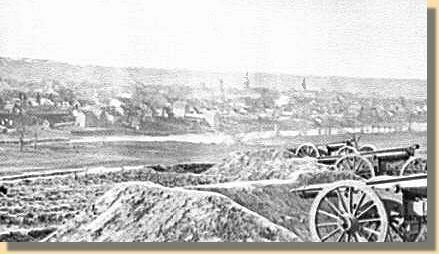 The cannon in the photograph is a replacement 1864 model, because the original blew up during the battle.